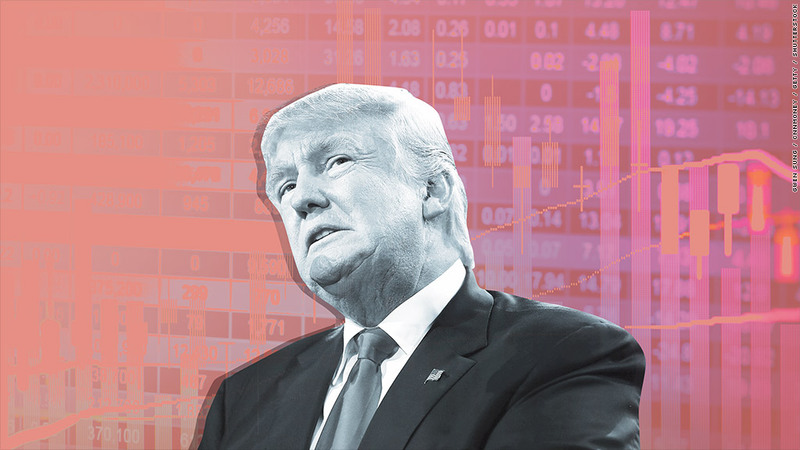 Will Donald Trump be able to lift the U.S. economy out of its funk? That remains to be seen. But one CEO who voted for Trump thinks he will be able to make America's roads, bridges and highways great again. Bill Sandbrook, CEO of U.S. Concrete, a company that is expected to generate $1.2 billion in sales this year, is excited about what Trump will mean for his business. Sandbrook said he voted for Trump -- and even predicted the billionaire would win shortly after he wrapped up the Republican nomination -- because he thought Trump had a better plan to fix the nation's infrastructure. "There hasn't been enough political will to increase funding. Washington needed an outsider and oversized personality to not just talk about infrastructure but to get it funded and enacted," Sandbrook said. "It's not going to be a cakewalk. But I'm optimistic." Shares of U.S. Concrete (USCR) have surged nearly 20% since last Wednesday, a reflection of excitement for construction companies following Trump's win. U.S. Concrete is now worth $900 million. The market is betting Trump will be able to push forward plans for more infrastructure spending through the Republican-controlled Congress fairly easily and quickly. Trump has proposed as much as $1 trillion on infrastructure improvements. That could be a big boost to companies like U.S Concrete, which sells ready-mixed concrete (as its name would imply) to construction firms in the San Francisco Bay area, Dallas, New York and northern New Jersey and the metro Washington, DC area. More infrastructure spending should also help construction equipment giants Caterpillar (CAT) and John Deere (DE) as well as steel firms U.S. Steel (X) and Nucor (NUE). Those stocks have also surged since Election Day. Many of them have been doing well for months. Investors assumed that a Clinton or Trump win would lead to a bigger budget for infrastructure plans. It is something that has mostly received bipartisan support. To that end, Sandbrook said he's been encouraged by more talk in Washington about the need for infrastructure improvement -- even before the presidential campaign really kicked into high gear. Last December, President Obama signed the Fixing America's Surface Transportation Act, or FAST Act, into law. That will lead to some increased spending to improve roads and highways. Sandbrook said that's not enough though. He called FAST a Band-Aid for the chronically underfunded transportation sector. He concedes that his firm and the sector at large would have benefited if Clinton won as well. But he argues that Trump will be able to do even more -- mainly because he might push to lower taxes to give the economy an even bigger short-term boost. Sandbrook said firms like his aren't just looking to make a quick buck from short-term contracts to rebuild roads and bridges. "A good economy is better than federal spending contracts," he said. "If people are buying more houses and employment is increasing so you need more office buildings, supermarkets and hospitals, then that's better than any federal stimulus." "But when you get both, that could be beneficial for construction companies," he added. Sandbrook also said that while many in the media are surprised by Trump's win, he's not. U.S. Concrete is based in Euless, Texas -- a suburb of Fort Worth. Sandbrook thinks people on the East and West coasts vastly underestimated the discontent voters had about the state of the U.S. economy. "I was not surprised by Trump's win at all," he said. "He energized a large geographic segment of the population that was both ignored and under-reported."